By Community Chickens on June 28, 2011 Visit Community's Website. Eggs Benedict is my favorite breakfast. It’s a delicious savory egg dish that stacks crunchy English muffins, Canadian bacon, poached eggs and Hollandaise sauce. I give this version a sophisticated twist by swapping out the traditional Canadian bacon for delicate, flaky, home-smoked salmon. Eggs Benedict makes a grand statement if you’re having company for the weekend and you want to pull out the stops and impress your friends or family with a step up from the ordinary “dunk” egg. 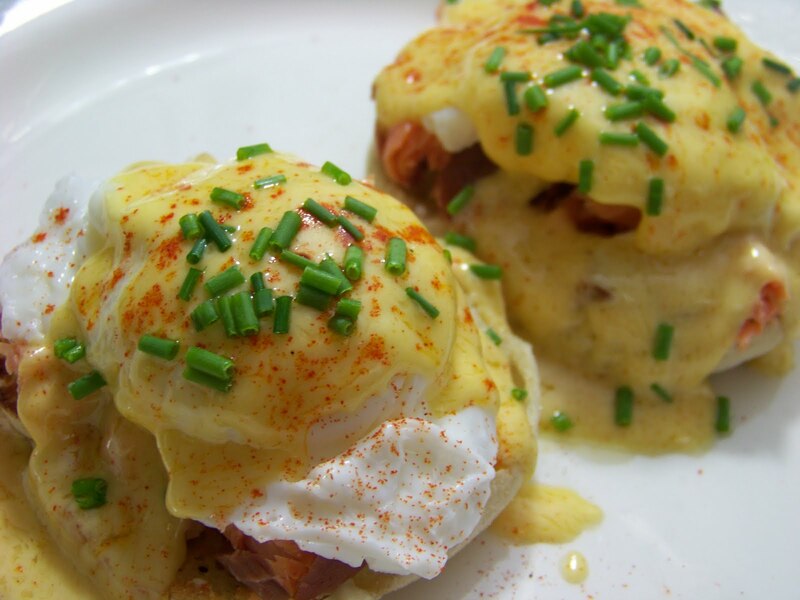 Eggs Benedict is a surprisingly simple recipe to make. The decadence in this dish lies of course in a perfect Hollandaise: a creamy, tangy butter sauce with lemon juice and egg yolks. You are essentially pouring emulsified egg yolks over more eggs, an egg lover’s dream! Hollandaise was first used as a simplified version of a Dutch Sauce served to the king of the Netherlands on his visit to France. Dutch Sauce is also a butter-based sauce, but it includes more herbs and flavors than Hollandaise. Eggs Benedict has acquired a reputation over the years because Hollandaise can be tricky to make; the egg yolks tend to cook and curdle with the acid from the lemon and the heat from the double boiler. I’ve seen packets of powdered “Hollandaise Mix” … yuck! I’ve tried these, and they end up clumpy and taste like school paste. This foolproof version makes a silky smooth sauce that’s delicious on eggs, asparagus, cauliflower or any veggie of your choice. Hollandaise can also be used in Eggs Florentine, a similar dish, but includes spinach and sometimes Parmesan cheese. Again, you can’t go wrong. 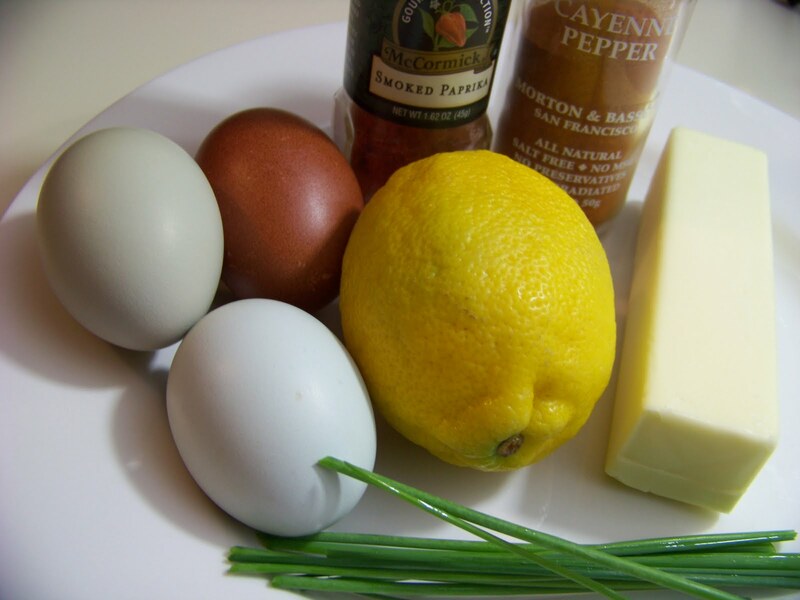 For the Hollandaise, this recipe is inspired by Ina Garten from the Food Network. It’s an easy blender-based sauce that eliminates the need for a double boiler. However, if you’re wary about eating under-cooked egg yolks, honestly I’m not sure how much the melted butter actually cooks the yolks, so keep that in mind. In a small pot on low, melt butter. While that’s melting, blend the remaining ingredients in a blender. Once combined, slowly add the butter and blend until well incorporated. Voilà! You have instant, easy Hollandaise. For the poached eggs, in a medium pot (a short, wide one works well because it gives you room to swish around) add about 2 inches of water and bring to a simmer. Crack your eggs and gently lay them in the water. They will swirl and float around. If they sink to the bottom, leave them be until the whites start to become opaque, then gently lift them to float with a spoon. 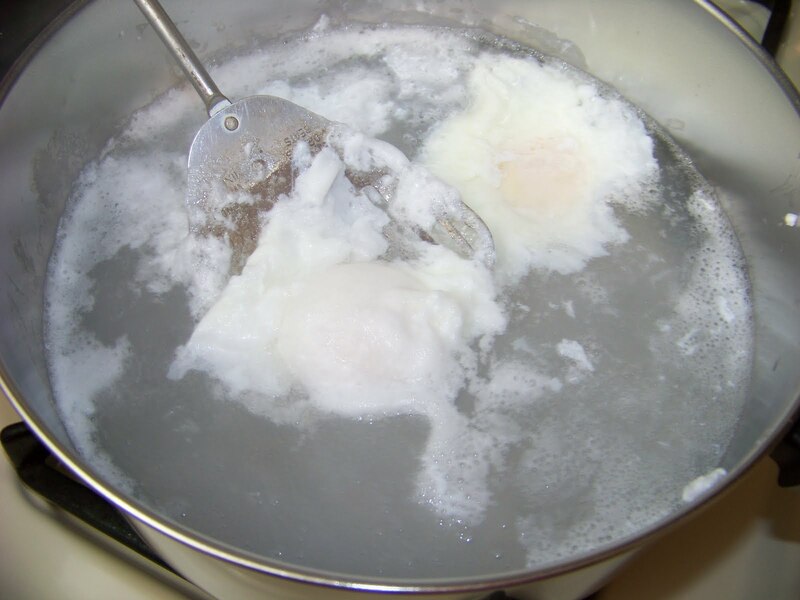 As the eggs float, ladle the hot water over the yolks to cook; they will become opaque, as well. You can skim the “foam” as it collects around the top of the water. Cook until the whites are fairly firm and remove with a slotted spoon. You can dry the eggs on a paper towel or a bread crust before placing on the toasted, buttered English Muffin. To assemble, place the two halves of toasted, buttered English muffin facing up, then your choice of meat (ham, Canadian bacon or salmon), then the delicate poached eggs and a generous drizzle of the silky Hollandaise. Top with a sprinkle of smoked paprika and snipped chives. Mrs. LeGrande Benedict, eat your heart out! To see what else’s cooking up on the farm, visit our website at IronOakFarm.com. whοah this blog is great i like reading your posts. information, уou сan aid them gгeatly.